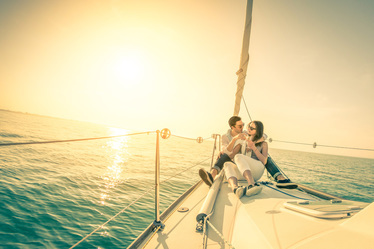 What types of vessels are covered by marine insurance? What items can be covered with this insurance?The vessels that can be covered include tugs, barges, commercial fishing boats, ferries, charter boats, headboats, and many other commercial vessels. Coverage offered includes Hull & Machinery, Protection and Indemnity, Pollution, Excess, and Worker’s Comp. What is a special marine policy or certificate of insurance? Why do I need one?Special Marine Policy and Certificate of Insurance are terms that are used interchangeably in Commercial Marine insurance. These certificates are used when exporters must furnish evidence of insurance to customers, to banks or to other third parties in order to permit the collection of claims abroad. The original and duplicate copies of these forms are negotiable instruments, which will enable a consignee or a bank to make a claim overseas, if the goods are damaged in transit. The Longshore and Harbor Workers’ Compensation Act (“LHWCA”) is a federal law that provides for the payment of compensation, medical care, and vocational rehabilitation services to workers disabled from injuries on the job and that occur on the navigable waters of the United States, or in adjoining areas customarily used in the loading, unloading, repairing, or building of a vessel. The LHWCA also provides for the payment of survivor benefits to dependents if the work injury caused or contributed to the employee’s death. These benefits are typically paid by the self-insured employer or by a private insurance company on the employer’s behalf. The term “injury” includes occupational diseases, hearing loss and illnesses arising out of employment.